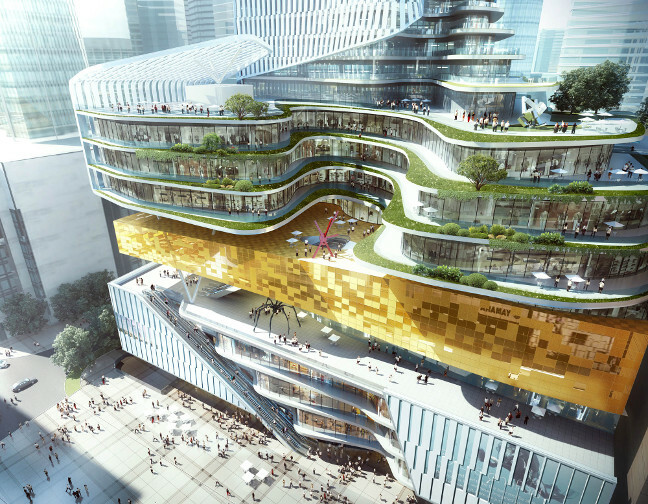 Chongqing Xinhua Bookstore Group Jiefangbei Book City Mixed-use Project is a dynamic complex that encompasses a sky cultural plaza, retails, apartments, offices and a boutique hotel in the Jiefangbei Central Business District, the heart of downtown Chongqing. 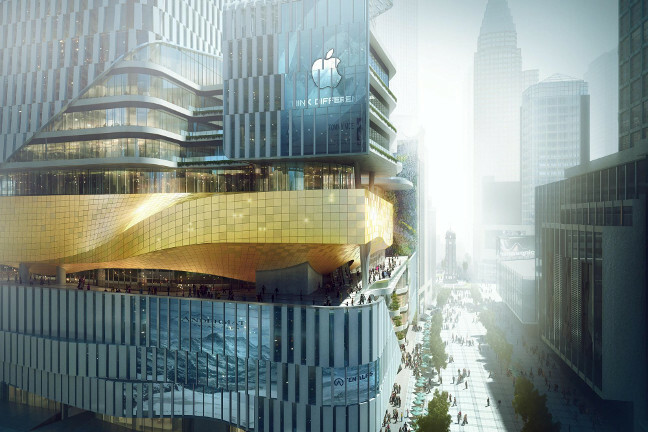 Aedas draws design inspiration from an ancient Chinese prose ‘Knowledge brings wealth’ to integrate book with the cultural elements of Chongqing, creating an interactive commercial complex with Xinhua Bookstore sitting at the core of the podium. The building unfolds stepping terraces in an elegant form of a rolling book scroll implying the spirit of wisdom and knowledge. 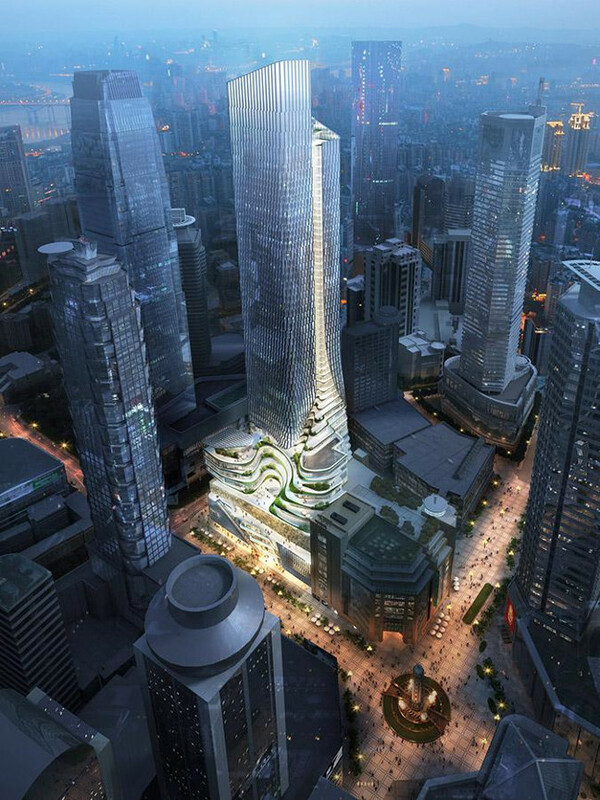 The stepped architecture not only reveals the well known geographic beauty of Chongqing which is also named ‘Mountain City’, but also interacts with the surroundings and rejuvenates the city landscape, best described as ‘A Mountain City Embraces Books’.